Libby Koch is currently an Austin resident, but she will admit to being a Houston girl wherever she resides. The singer-songwriter grew up in the Bayou City, where she developed a passion for music. "I'm a Houstonian through and through," she said. "I hang my hat in Austin, but there's something about Houston. It's a big part of who I am as an artist and a person." When she turned 13, her father drove her to a nearby pawnshop and allowed her to select her first guitar. Her first instinct was to pick the prettiest one. As it turned out, selecting an acoustic guitar with a tortoise shell pick guard was the right choice. That particular instrument helped her find her voice as a songwriter and singer. Her musical experiences expanded when she went away to college—first at Texas A&M University (alma mater to famed Texas musicians Lyle Lovett and Robert Earl Keen) and later at Vanderbilt University in Nashville, where she earned her law degree. After Vanderbilt, she returned to Houston to practice law, but her true calling … kept calling. She left the life of a lawyer for a career in music and has zero regrets. 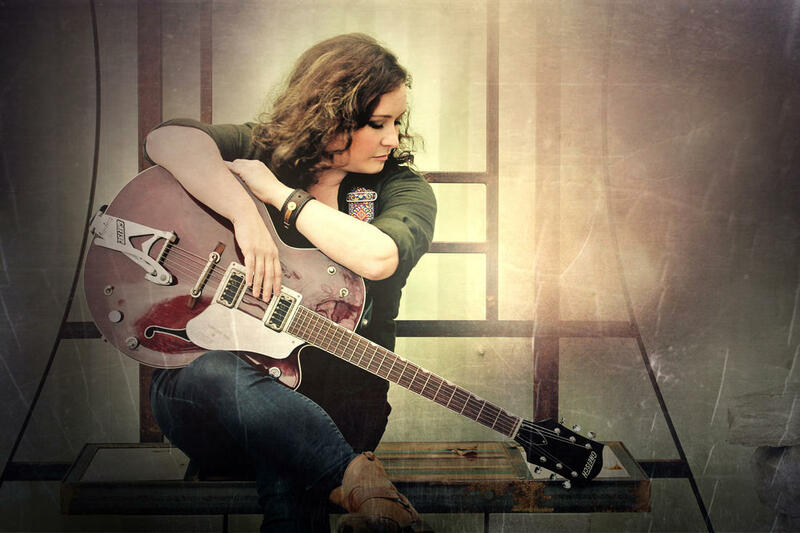 Performing with her band or acoustically, Koch offers warm, country/folk-flavored songs enriched by her strong singing voice and supple guitar talents. Audiences can experience Koch up close and in person when she opens for Terry Allen at 7 p.m., May 31 as part of UHD's Thursday Night Concert Series at Discovery Green. UHD's College of Humanities & Social Sciences will host the evening's festivities and admission is free. UHD News chatted with Koch about her music and being back in Houston to perform for her hometown fans and family members. UHD News: You've performed at Discovery Green previously. What's it like to perform at one of the city's most popular parks? Libby Koch: Discovery Green has been a great addition to Downtown Houston. It's a cool thing for the city because there's always something going on with free live music and other events. It's just cool to be invited to be a part of that. UHD News: You made the transition from being a lawyer to singer-songwriter. What's the biggest difference in those jobs? Libby Koch: (Laughing) Well, being a musician is more fun. It's a been a fun challenge to find a way to maintain a living while pursuing the thing I love the most. People tell me that I'm living the dream. Music is not the easiest thing to do in the world, but it's a whole lot of fun. UHD News: At Discovery Green, you open for the acclaimed artist, Terry Allen, and you've opened for some fairly notable musicians. Who's on your bucket list of other artists you'd like to either share a bill with or perform with on stage? Libby Koch: I think any Texas artists would have Willie Nelson at the top of that bucket list. So, he'd be the be all, end all. Beyond him, I'd say Emmylou Harris or Patty Griffin. They're heroes of mine. UHD News: Why do you think Texas has been such a good place for inspiring artists like yourself? Libby Koch: Texas has a rich history of songwriting. What I've learned from being part of a strong community of songwriters here in Texas is that the emphasis is on the song. I just returned from the Kerrville Folk Festival and heard so many great songs. Hearing this kind of music gets you fired up to tell another story and hopefully inspire someone else to do the same.